Please select a date of play to check availability on Beloura. 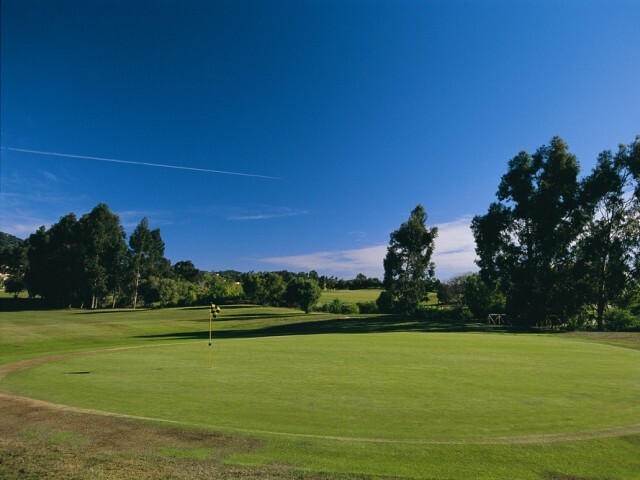 The Quinta da Beloura golf course is an 18 course near Estoril to the west of Lisbon. Beloura lies between Cascais and the Sintra hills mountain it enjoys some very attractive views regardless that the fairways stretch through a residential resort. The layout of the golf course has taken into consideration the enjoyment of the golfer and challenges from the many water hazards. The eighteenth Par 4 hole of 372 metres with a lake looking for erring ball from the tee is an attractive final finish to a golfers round. Also, the green is hidden behind one of the larger lakes that demands accuracy to the approach shot. To post a review, score or a notice on Beloura page's or to connect with other Beloura golfers, please log in to your account or sign up using Google or Facebook.